Tested works with all of our Feather boards. 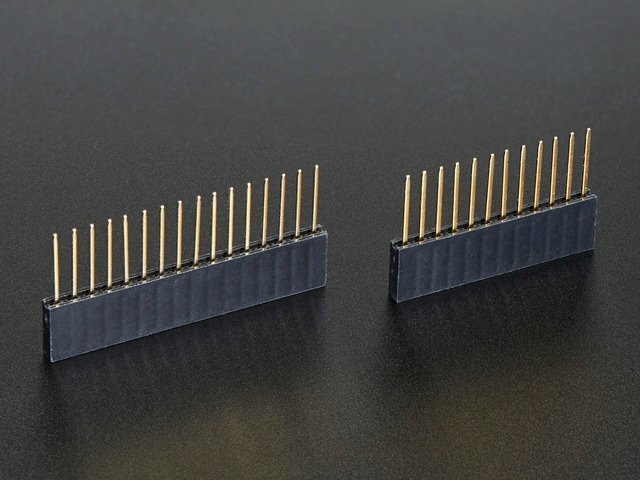 The OLED uses only the two I2C pins on the Feather, and you can pretty much stack it with any other FeatherWing, even ones that use I2C since that is a shared bus. You're done with the two header strips. OK You're done! You can now plug your FeatherWing into your Feather and get your OLED on! The OLED display we use is well supported and works for all Feathers, all you need is a little library support and you will be drawing in no time! Using the OLED FeatherWing with Arduino sketches requires that two libraries be installed: Adafruit_SSD1306, which handles the low-level communication with the hardware, and Adafruit_GFX, which builds atop this to add graphics functions like lines, circles and text. You should see the OLED display a splash screen then spit out some text (it’s a make-believe WiFi connection status screen…this doesn’t actually do anything, just showing how typical project might look). If you press the A B or C buttons it will also print those out. Remember you need to call display() after drawing to refresh the screen! 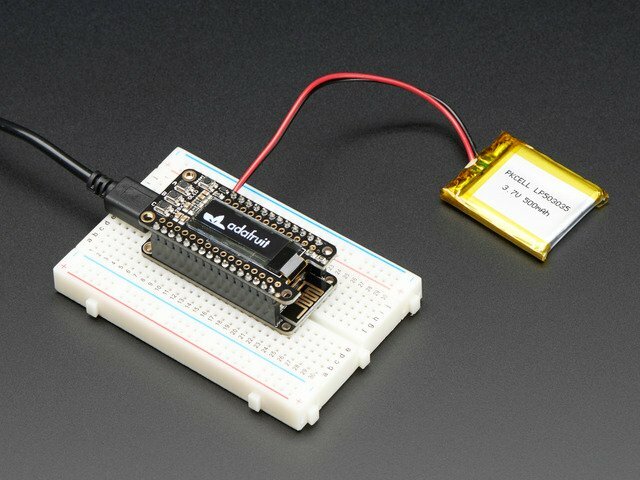 It's easy to use OLEDs with CircuitPython and the Adafruit CircuitPython SSD1306 module. This module allows you to easily write Python code to control the display. We'll cover how to wire the OLED to your CircuitPython microcontroller board or Raspberry Pi. First assemble your OLED. Connect the OLED to your microcontroller board as shown below. Solder the Feather with female headers on top or stacking headers. Attach the OLED FeatherWing using the stacking method. You must solder two jumpers closed on the back of the display to use with I2C! Connect the OLED as shown below to your Raspberry Pi. The PiOLED comes fully assembled. Simply plug into any Raspberry Pi as shown. The OLED Bonnet comes fully assembled. Simply plug into the Raspberry Pi as shown. 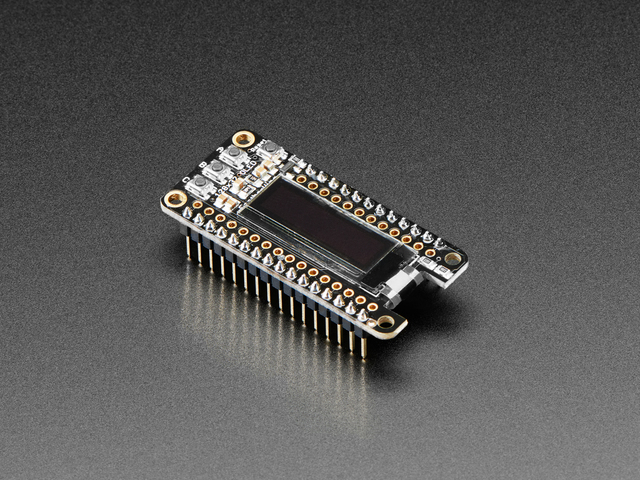 To use the SSD1306 OLED with your Adafruit CircuitPython board you'll need to install the Adafruit CircuitPython SSD1306 module on your board. Before continuing make sure your board's lib folder or root filesystem has the adafruit_ssd1306.mpy, adafruit_bus_device and adafruit_framebuf files and folders copied over. To demonstrate the usage, we'll initialise the library and use Python code to control the OLED from the board's Python REPL. Note that the first two parameters to the SSD1306_I2C class initializer are the width and height of the display in pixels. Be sure to use the right values for the display you're using! reset_pin = digitalio.DigitalInOut(board.D9) # any pin! reset_pin = digitalio.DigitalInOut(board.D4) # any pin! At this point the I2C bus and display are initialized. Skip down to the drawing section. 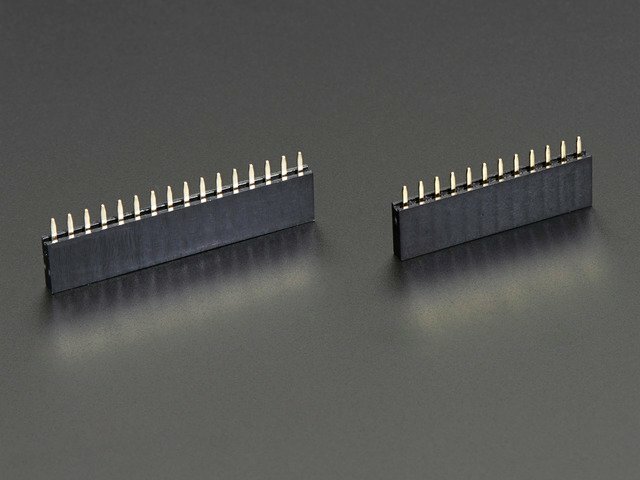 If your display is connected to the board using SPI you'll first need to initialize the SPI bus. dc_pin = digitalio.DigitalInOut(board.D6)    # any pin! cs_pin = digitalio.DigitalInOut(board.D5)    # any pin! Note the first two parameters to the SSD1306_SPI class initializer are the width and height of the display in pixels. Be sure to use the right values for the display you're using! The next parameters to the initializer are the pins connected to the display's DC, reset, and CS lines in that order. Again make sure to use the right pin names as you have wired up to your board! The SSD1306 module currently supports a basic set of commands to draw on the display. You can set individual pixels, fill the screen, and write lines of text. Notice the fill function doesn't actually change the display. You must call show after making drawing commands to send the updated pixel data to the display! Try setting other pixels white by changing the X and Y position. Remember you have to call show after setting pixels to see them appear! To write text to your display, you must download a font file and copy it to your CIRCUITPY drive. Click the button below to download the file, and then copy font5x8.bin to your CIRCUITPY drive. Notice the second line of text starts at Y position 10, this moves it down the display 10 pixels so it's below the first line of text. The font used by the text function is 8 pixels tall so a size of 10 gives a bit of room between the lines. Note that the invert function doesn't need to have show called after it to see the change. That's all there is to drawing on the SSD1306 OLED display with CircuitPython! The drawing functions are basic but provide building blocks for more advanced usage. For example you can display text with sensor readings or other state, or even program a simple game like pong! # Basic example of clearing and drawing pixels on a SSD1306 OLED display. # This example and library is meant to work with Adafruit CircuitPython API. 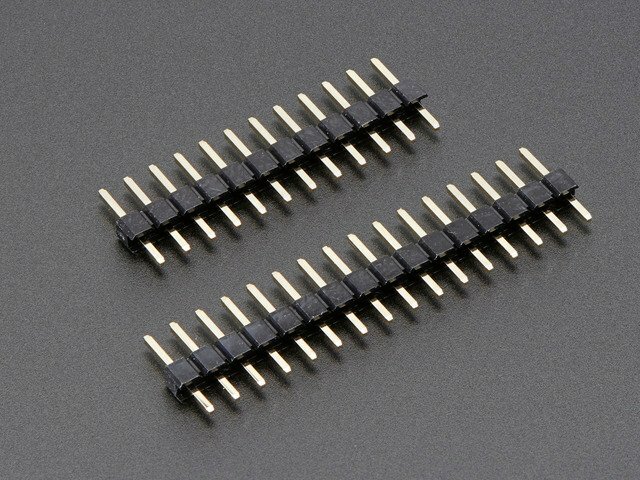 # Import all board pins. # Import the SSD1306 module. # Create the I2C interface. # Create the SSD1306 OLED class. 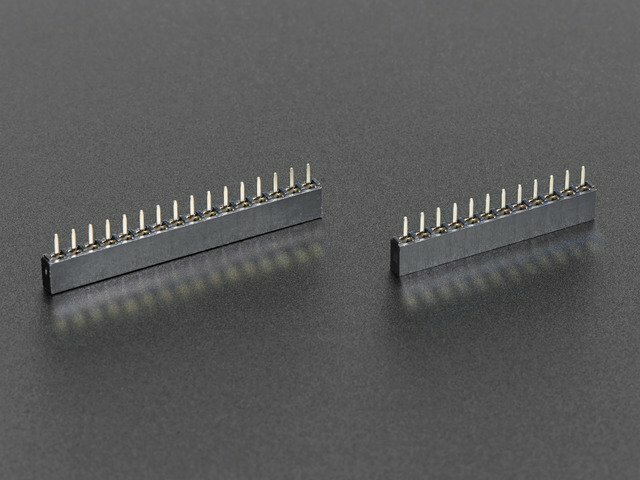 # to the right size for your display! # Set a pixel in the origin 0,0 position. # Set a pixel in the middle 64, 16 position. # Set a pixel in the opposite 127, 31 position. This guide was first published on Apr 26, 2016. It was last updated on Apr 26, 2016.